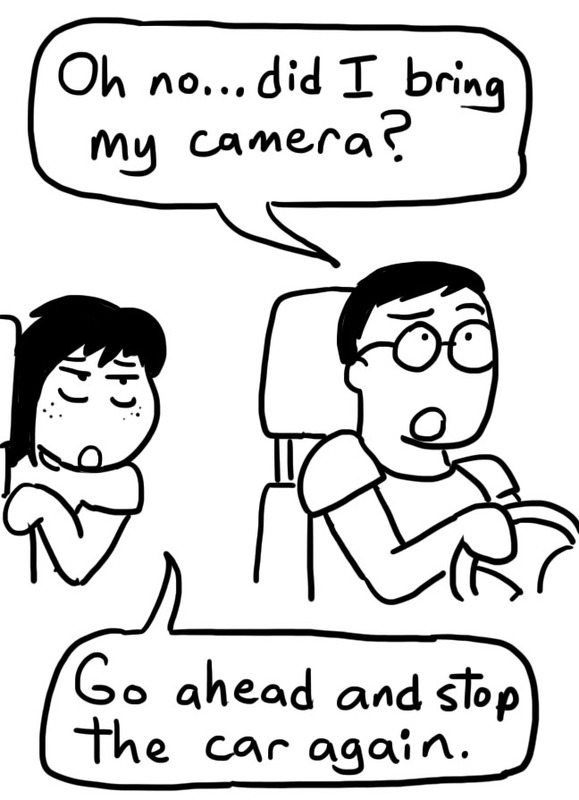 Family car rides | I think in comics. The more people in a group, the harder it is to get around. I’ve experienced it plenty of times. Large groups of friends hanging out inevitably lose each other on the way. Ever try to navigate 40+ people into cars and to the beach? I have. Even in smaller groups, my family finds ways to be late. A standard car only holds five people. Not too bad, right? Shouldn’t it be easy to get the show on the road? Other things on my list? Cell phones, contact solution, bras, deodorant, shampoo, and all sorts of necessities that are easily forgotten. I’ve become way better over the years, thank goodness. Once in a while, though, I’ll experience the “Oh crap! My skin is dry and I forgot my lotion!” panic attack. And to this day, my mother reminds me every time to “Mang quần xi-líp”– bring my underwear.